With Christmas just around the corner many of you will be delighting a loved one with a magical fairy gardening gift this year. 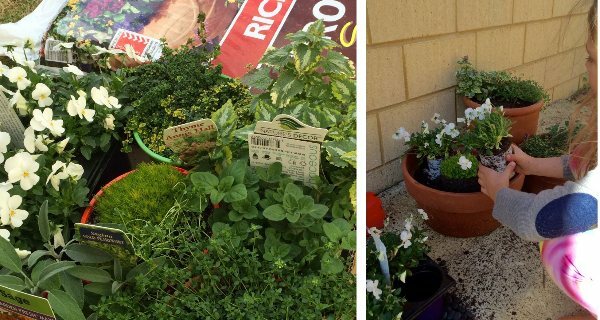 Whilst fairy gardening in Summer can be tricky due to the extreme heat and dry weather across much of Australia, a little extra preparation will have your garden (and theirs) thriving throughout summer and the rest of the year. From your container choice to preparing your soil and ongoing care, we've got the best tips for surviving Summer fairy gardening and ensuring the christmas magic lasts well into the New Year. The first thing you'll need to do is choose your container. You aren't limited to a pot - see our previous blog, Getting Creative with Containers, for more inspiration. When selecting the container be aware that terracotta pots, decorative unsealed containers and ones that hold less soil will dry out quicker and may require more regular watering than plastic or glazed pots. We've got the dirt on... Dirt! When potting up a container garden always start with a good quality potting mix. If you aren't adding your own organic matter, we recommend choosing a potting mix with The Australian Standard logo of the five ticks, which ensures the mix is manufactured to a consistent quality in terms of drainage, aeration, water holding copacity and pH. There are two grades of the mix - the black logo contains virtually no fertiliser, and the red logo which has enough fertiliser added to sustain at least one month's growth. For more comprehensive information on choosing the right potting mix see this article form Gardening Australia. Don't forget, due to bacteria in your potting mixes always wear gloves and a face mask when handling it and wash your hand well afterwards. Adding water storage crystals to your potting mix will reduce water wastage and increase the time between watering. The crystals will absorb excess water which your plants can draw from later. For best results, soak them in water before mixing into the potting soil. Seasol is a wonderful organic product which stimulates strong root growth and reduces transplant shock. Add this to your water storage crystals to gives your plants a great start and continue to add Seasol when watering throughout summer to help the plants cope with heat stress. Regular watering in Summer is a must. The best time is early morning while it's cool to give the plants time to absorb the water before the heat of the day sets in. A watering spike, which slowly releases water into the soil, is a great option for busy families as many designs require filling less than once per week. 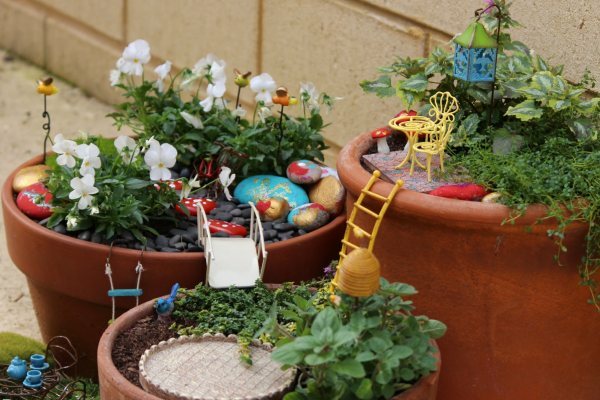 Extreme Heat: we recommend locating your fairy garden in a sheltered position but if you do have it in the sun, on those scorching days be sure to move your garden into shade if you can, or cover it with shade cloth to prevent excess drying of the soil and sunburn to your plants. Additional watering in the late afternoon may also be necessary during extreme heat, but is generally not recommended at other times as it can promote fungal growth if excess moisture isn't able to evaporate. 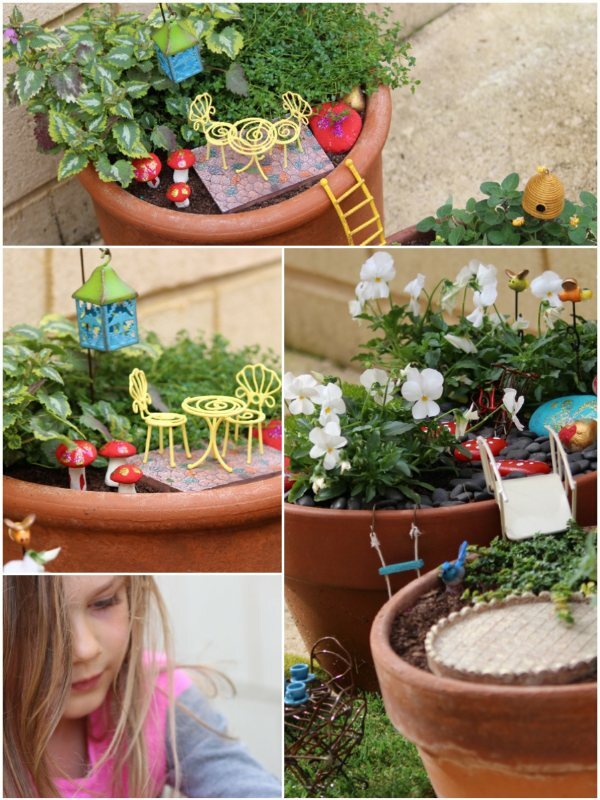 So these tips should keep your garden thriving, but be sure to check out our Product Care & Information page for tips on looking after your precious fairy pieces. Merry Christmas & Happy Fairy Gardening!